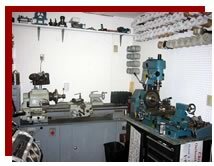 A South Florida marine service and supply shop specializing in reed valves and the rebuilding and re-manufacturing of outboard motor powerheads and lower units - Chris Carson Marine Service and Supply. Welcome to Chris Carson’s Marine Service and Supply, one of the largest and best equipped outboard motor rebuilding and service shops in the Southeast. 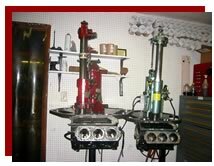 We specialize in the re-manufacturing of outboard motor powerheads and lower units. We have many ready to go units available for immediate installation. Your rebuilt powerhead is here! We're happy to announce that our custom division, Outboard Options, is now offering composite mono-leaf reed valves for many two-stroke motors. 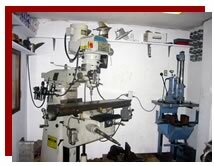 We also offer complete machine shop service relating to outboard rebuilding, and can supply the new or used parts needed by the “do it yourselfer ” to complete your home project. We are dedicated to this work, not new motor sales, and we stock normal rebuilt parts for all modern makes and models of outboards. Unlike some competitors, working mobile from a rented warehouse or two and moving from place to place, this family owned and operated business has been under the same ownership and in the same location in Key Largo Florida since opening in 1984. After many years of experience rebuilding, repairing, modifying and servicing all makes of outboard motors, we are pleased to offer to you “the customer” the best in powerhead remanufacturing. Please allow us to help you maintain your boating pleasure by providing a top quality friendly service at an affordable price, while keeping your troubles, expense and downtime to a minimum. Please take a moment to browse our site. You'll find our policies and warrantee are unmatched. Thanks for visiting our site and happy boating!